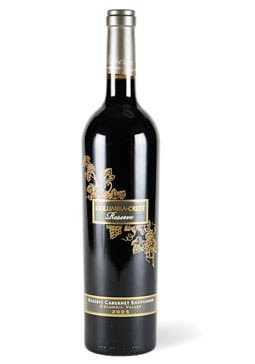 Wine Spectator magazine has named Columbia Crest 2005 Reserve Cabernet Sauvignon as the #1 wine in the world for 2009. The Washington Cab beat out 17,000 other wines to win the prestigious honor. The final selection was based on the wine's quality, value, availability and excitement. This is the first time a Washington wine has placed #1 on the list of the top 100 wines. Wine Spectator has been making the list for the past 21 years. Columbia Crest, founded in 1978, is part of Ste. Michelle Wine Estates, which accounts for more than half the wine produced in Washington. The winery's ability to combine quality and value has earned it 14 spots in the Top 100.